Smoking. Although not as cool as it used to be, there are still over 42 million smokers in the United States. We all know its effect on the lungs – we’ve seen the anti-tobacco commercials and pictures of smoker’s lungs. We know it causes COPD, lung cancer and the list goes on. But if you’re a current or former smoker, you may be curious to know if the damage to your lungs can be reversed. Quite literally, quitting the habit is like a breath of fresh air for the lungs. They start to heal almost immediately and within just the first month after quitting, your lungs become more efficient in their ability to process oxygen, and your circulation will improve. The carbon monoxide levels in your body will return to normal and your blood pressure should return to a level that is normal for you. In just 24 hours after quitting smoking, your risk of coronary artery disease will begin to improve! Even though you will see an immediate benefit, the progress will come in increments. 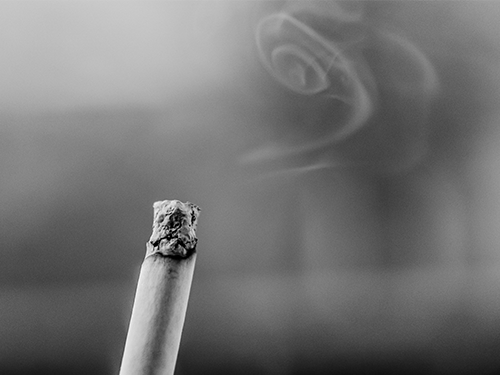 It is important to be aware that as nicotine leaves your body, you will experience withdrawal symptoms that can range from headache, irritability, nausea, depression, and even sweating. 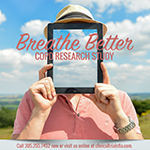 Within 9 months, the cilia in your lungs will start to function again, and you should notice a decrease in coughing and shortness of breath. Ten years from now your risks for lung, throat, pancreas, and certain other cancers is lessened drastically. There is no question that smoking causes permanent damage, but lungs can start to heal from day 1 simply by kicking the habit. If you or someone you know is suffering with a disease caused by smoking, CTFL maybe be able to help. Research studies are now enrolling. Participants may receive new treatments before they are available to others as well as compensation for time and travel expense.